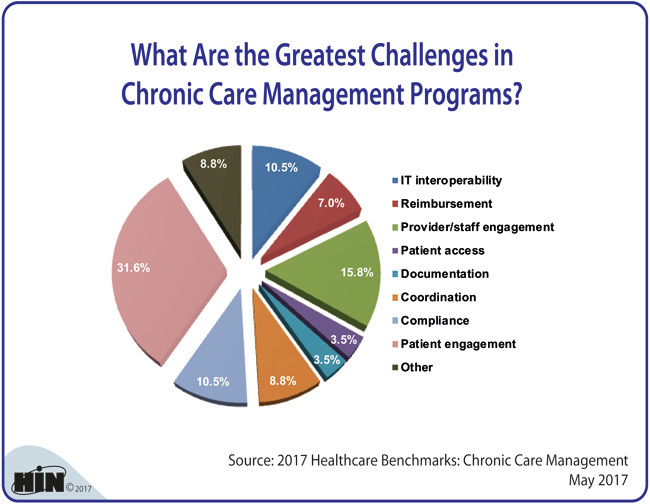 Healthcare Intelligence Network - Chart of the Week: What Are the Greatest Challenges in Chronic Care Management Programs? 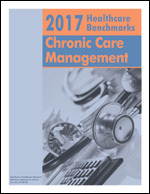 For access to dozens of metrics and benchmarks on chronic care management, order your copy today for $125. This report captures tools, practices and lessons learned by the healthcare industry related to the management of chronic disease. Based on responses to HIN's industry survey on chronic care management, this 40-page report is the second comprehensive assembly of metrics on CCM stratification requirements, reimbursement models, promising protocols, challenges and ROI. This 2017 market data also captures participation trends and feedback on CMS's Chronic Care Management services for Medicare beneficiaries with multiple chronic conditions that launched in 2015. In late 2016, CCM updates by CMS enabled reimbursement for more complex and more time-intensive chronic care coordination. Order your copy today for $125 in our Online Bookstore or by calling toll-free (888) 446-3530. 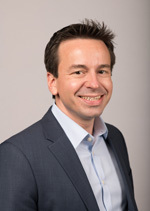 While shared savings could be several years in the future for fledgling ACOs, there are shortcuts to generate population health revenue immediately, explains Tim Gronniger, SVP of development and strategy, Caravan Health. Listen to Mr. Gronniger outline the rationale for using three Medicare billing codes—the annual wellness visit (AWV), chronic care management and advanced care planning—to create revenue that offsets ACO infrastructure costs.